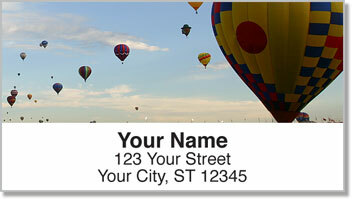 Imagine what life would be like if we all rode hot air balloons instead of cars. The commute to work would be leisurely and enjoyable as you slowly drift over the world below. Not to mention the fact that there's a lot more room up in the sky than on the highway. 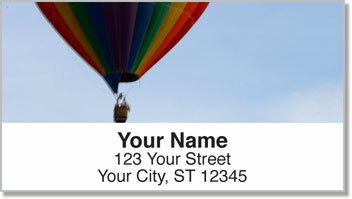 Hot Air Balloon Address Labels from CheckAdvantage feature amazing photographs of colorful balloons floating high above the Earth. 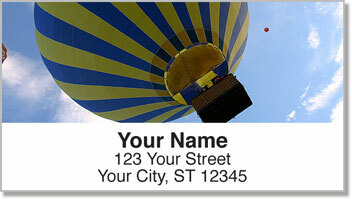 Use them to save time preparing outgoing mail while adding a wonderful finishing touch to each envelope. These labels can also be used to mark items like luggage and other important personal property with your name and address. 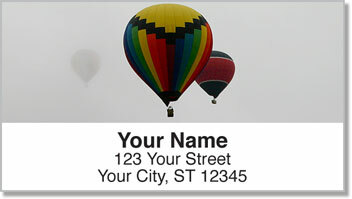 Get your own Hot Air Balloon Address Labels today! You'll also find a set of matching personal checks to complete your order.